This S/S 2019 edition left its stamp with the energy brought to Who's Next & Premiere Classe. With a strong and promising Africa Street theme, there was newness, inspiration and a layout supporting networking, and the launch of a beauty sector… A wealth of positive lessons to further extend! With more than 1,400 brands taking part in this edition, a 4% increase compared to September 2017, the largest concept store in the world welcomed staple brands, young designers and, as with each edition, surprised its audience by putting young talents under the spotlight. The event brought together 43,500 visitors, 3% more than in September 2017. French visitors came in full force to discover key players in fashion, beauty & lifestyle or culture of the future. Visitors enjoyed a new, clear and coherent route, enabled by gathering accessories and ready-to-wear, to create a more spacious trade show, as well as the development of three new dedicated areas: Fine Jewellery, Mix & Mixte and Beachwear. For the first time, brand new Villa Beauté welcomed 20 brands (K-Beauty, indie and organic) which enticed the public and ensured its comeback for next January. Visitors were effortlessly led to new business development opportunities in this area with a clear desire to create a link with fashion. Rethought, the Fashion Solutions area allowed participants, visitors and exhibitors to enrich their knowledge and discuss new trends through professional meetings, in particular during conferences, expert workshops and one-to-one meetings. 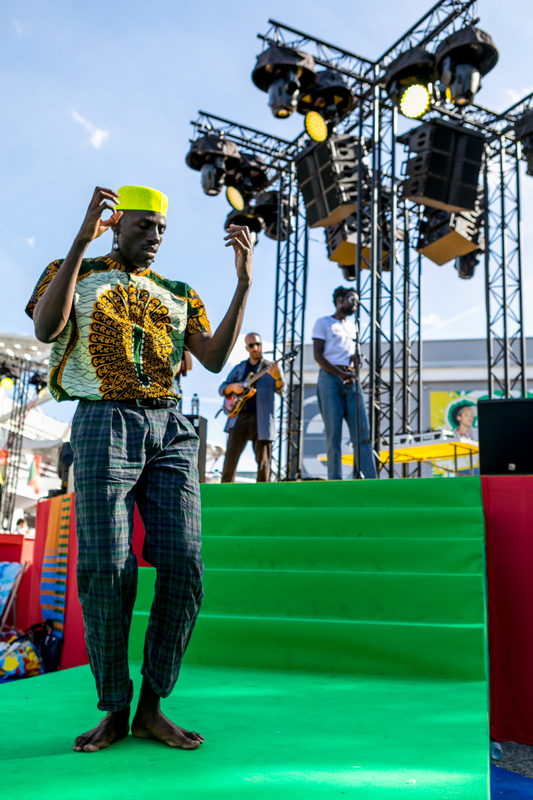 During the 4 days, Africa Street animations spread good vibes and positive energy with performances such as live art, body painting, stories and poems, as well as Africa-inspired soundtracks, networking on deckchairs, and parties which brought everyone together. Who’s Next & Premiere Classe were well and truly in a ‘festival’ mood, far from the traditional trade show image. Thanks to the new app by Swapcard, launched for this trade show, Who’s Next & Premiere Classe is now accessible 365 days a year. Thousands of users of the app have benefited from augmented relationships, with communication between participants via the instant messaging service, a comprehensive list of brands and designers (stand number or social media), and a list of all participants for a more simple way to identify potential customers for brands, and suppliers for visitors. “The strategy of Who’s Next & Premiere Classe is based on networking and experience: in our opinion, it is essential to feel and experience fashion in a broader sense, with different industries, such as beauty. Every year, it is important to reinvent ourselves in order to appeal to and meet all the current industry players. Digitalisation has advanced to bring to life our community all year round: to give a hint of inspiration and networking” commented Frédéric Maus, CEO of Who’s Next & Premiere Classe.